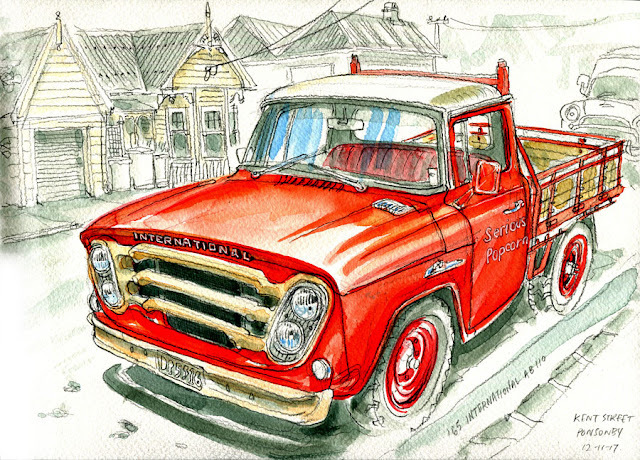 Got to like this shiny red International Harvester AB 110 on Kent Street with Serious Popcorn on the side. Another awesome vehicle. I can't believe they just turn up in front of you! Yeah, they seem to be coming out of the woodwork, they're everywhere.